In the Teresian analysis, the conditions for growth in prayer, the foundation for growth and prayer, is humility, detachment, and love of neighbor, as she has described in The Way of Perfection. Humility, detachment, and love of neighbor are the foundations of prayer, but the conditions for growth in prayer require solitude, fortitude, obedience, and especially generosity. Too human prudence, a delicate issue for our egos, is a roadblock from transitioning to deeper prayer and deeper intimacy with God. So many of the gospel parables and gospel teachings take us way beyond the limits of just mere human prudence. So many of the gospel teachings talk about God’s lavish generosity. It wouldn’t have been prudent for the prodigal father to receive his son back, put a robe on his back, put a ring on his finger, place sandals on his feet, have a celebration, and kill the fatted calf. Human prudence would say, ‘That’s a little bit too much!’ But this parable expresses the folly of God’s love. God’s love can be ridiculously generous and overwhelmingly good in lavishing of itself. That is supernatural’; that is agape. In the Purgative Way, the first three mansions, the work of the mind is indispensable. Because God is not manifesting Himself in any direct way, we need to do the work to get to know Him in a practical way – learn our faith. People only really start to make effort, and actually learn our faith as adults firsthand and take the initiative to actually read something Catholic rather than just wasting our time with just novelties or trivialities, in the Second Mansion. Once people get to the Second Mansion, they actually start to read things that can be of benefit to their spiritual life. The work of the imagination needs to be incorporated in the first three mansions. Meditation through the effort of the mind is really important for beginners, as Saint John of the Cross would say. The subtle subjects for meditation are many, but Saint Teresa insists that we meditate on the love shown by God and giving us a son. Go deep into that, try to understand that on a deeper level – on the love of Jesus Himself, on His life, His mysteries, especially His Passion and death. Traditionally, in the first three mansions, it was suggested that a person meditate on sin and its consequences, on death, on mortality, the fact that we will be judged by God and everything will come into the light, and that there will be only winners or losers, heaven or hell. That very basic framework of reality was often suggested to be the focus of meditation in the first three mansions, in the Purgative Way. In other words, we’re not thinking just to gain information, or to know more facts about the saints, and to explore our curiosity about a teaching. We’re only simply looking for something to enlighten our mind in faith, hope, and love in our relationship with God, in order to enflame our hearts, which will hopefully lead to a more virtuous living. This disposition through the Prayer of Simplicity means telling God peacefully, with frequent pauses, in a thousand different ways, in your own words – that you love Him and that you desire to love Him more and more; that you want to prove your love for Him. It’s that coloqui. St. Teresa talks about the nectar of mental prayer, the heart-to-heart communication. 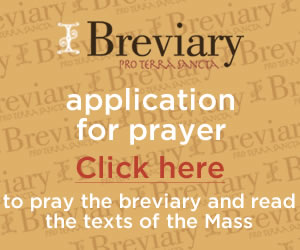 The kind of prayer that is common in the Third Mansion is active Recollection, a simplified form of mental prayer; the prayer is becoming less the work of the mind and more the work of the heart – ‘not thinking much but loving much’ as Saint Teresa says. In this active Recollection, this simplified mental prayer is what is referred to as the Prayer of Simplicity. You may be staying with a particular scripture in a particular disposition of soul and lingering with that longer than normal, and bringing that before the Lord. The gift that’s prominent from the Holy Spirit – remember the gifts went from Fear of the Lord, to Reverence and now it’s Fortitude. And also, as it relates to St. John Cross’ doctrine, the Active Night of the Senses happens in the Third Mansion and partially in the Second Mansion. Saint John of the Cross explains four nights: the Active and Passive Night of the Senses, which is what we can say as the surface level of the soul, the spiritual life that is more bound to the senses – how everything comes to our soul through the senses. The other two nights are the Active and Passive Night of the Spirit. The spirit is a deeper, more purer part of ourselves and our inner interior life. The Active is what we do, and the Passive is what God does. In the Purgative Way, the soul turns away from the spirit of the world, as St. John the Cross refers to ‘the lust of the flesh, the lust of the eyes, and the pride of life.’ It develops knowledge of self, as St. Teresa emphasizes, the soul develops knowledge of self as imagio Dei – the image of God. ‘In this purgative way, one is easily subject to ones feelings, one’s emotions and mood swings.’ Father Garrigou-Lagrange refers to it as ‘dependence upon fluctuations of sensibility. Such subjective states are greater strongholds.’ The subjective state of what I feel and what I am personally experiencing most immediately becomes a stronger influence on my liberty and capacity to be happy, than the truth of what God does in its purity. Spiritually speaking, our interpretations are very subjective, and for that reason, a real deep sense of discernment is pretty rare as a dominant gift in this stage. Here is an exhortation from St. Ignatius, ‘In times of desolation remember consolation. In times of consolation, prepare yourself for adversity.’ This idea is actually found in the Wisdom literature of the Old Testament, especially in the Book of Sirach. We must be aware of certain truths like the bookmark of Saint Teresa teaches us, to know that God’s love does not change. ‘His grace is always present, though sensible consolation may be absent.’ So even if I can’t feel God is with me, it doesn’t mean that He isn’t. ‘In this purgative way, a soul is still subject to varying negative cycles, like discouragement.’ I would simplify discouragement as believing more in one’s own weakness than in God’s love for us; putting to focus more on my own weakness than in God’s love for me in my weakness. At times, some may even get to the point of despairing of God’s mercy because of the knowledge of our sins during times of desolation. Ascetic exercise here is essential and what we mean by this are that one, works of mercy – spiritual and corporal works of mercy; penance, which means fasting, vigils and prayer. The soul in the Third Mansion has not yet experienced the supernatural force of love; this is still a natural spirituality – it’s growing, its mature, it has foundations, but a person hasn’t entered yet into the more the supernatural, infused gifts of God’s grace. As a result, because the supernatural force of love has not yet been experienced, as a Christian, the person’s love and response to God’s spirit is governed by an often too human prudence; this too human prudence limits the soul’s growth to what can be understood or measured by natural reason or common sense alone. This fault is a huge one for everybody, and priests are definitely no exception. In the Third Mansion, especially, the biggest struggle is Pharisaism, becoming very Pharisaical, doing all the right things for the wrong reasons. It becomes more about you than it becomes about God. And when the ego gets involved in selfish ambition and jealousy, the drama in prayer groups, conflicts in parishes, all the chaos that happens in the parish staff, and all the difficulties like a soap opera can erupt. Christians are human beings just like nonbelievers and anybody else. A big part of the Pharisaism in the Third Mansion can be one’s tendency to be attached to one’s own agenda, and not even know it. The person carries an ambition and an agenda that comes from one’s own will, but is done in the name of God. As a result of this stronghold of egoism – the personal agenda, my will, and my way of seeing things, and my way of understanding the Doctrine of the Faith, and the tradition of the Faith – a person can become very legalistic. A person can become very legalistic and ultraconservative in a way that can limit growth, just like the Pharisees. Prudence is one of the cardinal virtues; after humility, it is the most important virtue that bridges Humility and Love; Humility and Love are the most important virtues. Humility is the root, Love is the fruit, and the stem is Prudence – a proper understanding of how to apply the truth of God to respond to the will of God; a proper understanding of how to respond to God’s grace. That’s Prudence and it’s very, very important. When Prudence becomes too earthbound, too human, too much natural reason left to itself, and not enlightened by supernatural faith and what God reveals about Himself and the radical, paradoxical nature of the Gospel, there begins to be a confusion of the Gospel. Let us Pray. In the of the Father, the Son and the Holy Spirit. Oh God in whom mercy is endless and the treasury of compassion and exhaustible, look kindly upon us and increase your mercy in us, so that in difficult moments we might not despair nor become despondent, but with great confidence, submit ourselves to your holy will, which is love and mercy itself. My God, I believe, I adore, I hope and I love you. I ask pardon for those who do not believe, do not adore and do not hope, and do not love you. My God I believe, I adore, I hope, and I love you. I ask pardon for those who do not believe, do not adore, do not hope, and do not love you. My God I believe, I adore, I hope, and I love you. I ask pardon for those who do not believe, do not adore, do not hope and do not love you. Jesus I love you, Jesus I love you, Jesus I love you. May the Lord bless us and draw us to everlasting life. Amen. The Savior of the whole world. You hear that expression everywhere, on billboards, and sometimes, communicating it could seem like an advertisement, as if you’re trying to sell Christianity. Sometimes these terms can cheapen the meaning of faith. Most of our postmodern secular culture, which has adopted a mentality of secular humanism, doesn’t buy Christianity. They’re very dissatisfied by organized religion. And that’s how I was. I was so dissatisfied by Christianity, and by what I saw at church on Sundays, which didn’t inspire me, and I wasn’t edified by what I saw the of televangelists on television. For that reason, I was thirsty for spirituality. So I looked to other places, and I studied Far Eastern mysticism, and New Age spiritualities and philosophies. But after this experience, Jesus’ love gradually drew me back to Himself. On Divine Mercy Sunday, I had this wonderful gift of experiencing God’s mercy in a powerful way that had a great impact on me. The result of it was, I found myself before the Blessed Sacrament. And I knew, that I knew, that I knew – without a shadow of a doubt, in the depth of my being – that Jesus is Lord, and the one Savior of the world. There was no “if’s, and’s, or but’s” about it. It was crystal clear. Jesus is the Savior of the world. That basic truth that we often see cheapened on bill-boards, became so alive and so real, that it was utterly undeniable. When I had surrounded myself with all these other options and different religious figures, my mind unconsciously watered that truth down. But the truth that Jesus is the Savior of the world, was an unction of a conviction that was just grafted in me, branded in me on that one Divine Mercy Sunday. Father Sophrony says, “Grace enlarges man to an unforeseen degree, to the dimensions of Divine boundlessness.” That’s Spirit-laced language. To the degree of divine boundlessness. My Goodness! Saint John Climacus is a desert father of the Greek Orthodox tradition, who lived around the sixth century. He was the abbot at St. Catherine’s monastery in Sinai and in the 500s, and he wrote the classic work, The Ladder of Divine Ascent. He synthesized desert spirituality, gathered all the wisdom and tradition of the Desert Fathers together, and put it all into one source, one classic work. We are never finished. As long as there will be more of God to give, there will always be more to receive. Jesus said, “It is finished,” but it’s never going to be finished in us. In other words, yes we only have one life to live— ‘you only live once,’ as many young people say— we only have one life to live, in terms of growing in grace, but we have all eternity, to grow in glory. To Christ Jesus, be glory in the Church, forever and ever, Amen. Part of this asceticism is disciplining, laboring, ordering, and cultivating virtues in our lower faculties. When the scholastic writers of the Classic tradition talk about lower faculties, it seems that they are talking about the psyche – the immediate inclinations of the emotions and the immediate surface reactions of the will and the desires – the soul as distinct from the spirit, as Saint Paul refers to. In this process, we need to accept the growing pains of what it means to die to our false selves. If we don’t accept the growing pains, we’ll never experience the new creation. We’ll never experience a new birth on a deeper level. The growing pains are inevitable in what it means to be in Christ. Jesus says, ‘If you want to be my disciple, pick up your cross and follow me.’ That means that there are going to be growing pains; it’s unavoidable. The action of God here are sensible consolations, which are based on what can be perceived by the senses and what comes to the soul through the senses On the surface level of the soul, a person experiences for the first time, this real sense of God’s presence. The person experiences God’s presence in what seems to be a palpable way. You’ve all probably had that experience where you are going through to this valley of obscurity, not knowing exactly whether you are up or down, or what was going on, or you weren’t able to pray. Then all a sudden, almost as if it fell into your lap, but somehow you opened up to some particular passage and it just totally encouraged you. It was just what the doctor ordered; it spoke straight to your heart and only God knew how perfect of a match and a fit this was. Spiritual reading, holy meditation will save you. In the Second Mansion it is also important to get some spiritual direction, by someone – he doesn’t necessarily have to be a priest – just somebody that you trust who you know has been on the road longer than you, and has a some decent sense of discernment, someone who doesn’t think in worldly terms to make sense of your experience, but in Godly terms based on what they themselves have experienced and have been through. He doesn’t have to be a priest – just someone who has been walking with the Lord. Spiritual friendships are important to keep us on track, and to keep us going. In the First Mansion, the Gift of the Spirit was the Fear of the Lord. In the Second Mansion the primary Gift of the Spirit that’s growing in us is Piety – reverence, a personal love for the things of God. We’ve gone from the first stage, the state of basic friendship, just trying to avoid hell, we have a fear of the Lord, and we do good so that we can get a reward. The second stage is an active life of friendship, and a personal relationship with God is developed. We have reverence and love for the things of God. Easter will bring about our discussion of the Third Mansion.